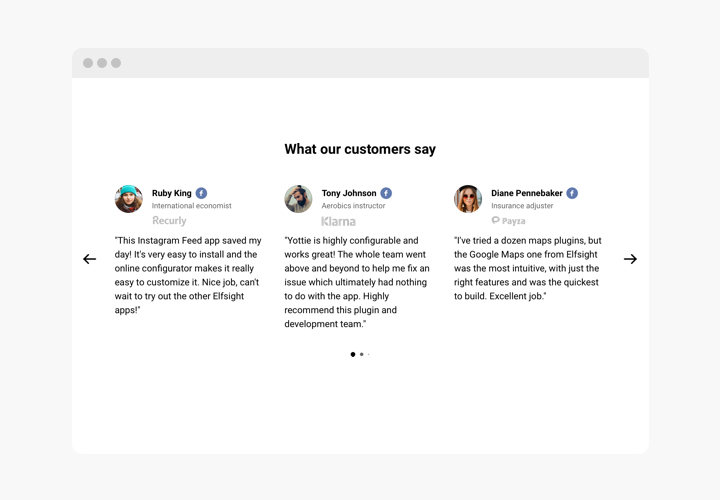 Testimonials Slider is an easy widget for displaying testimonials of your customers on your own site. 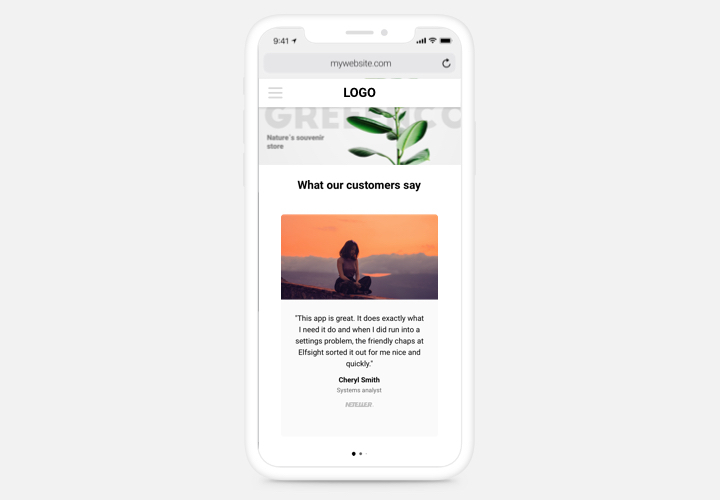 You can make use of any social proof to make feedback trustworthy: author’s name, photo, trade logo of the firm and even a link to the website. Level up trust in your company by demonstrating to visitors your true and sincere testimonials. 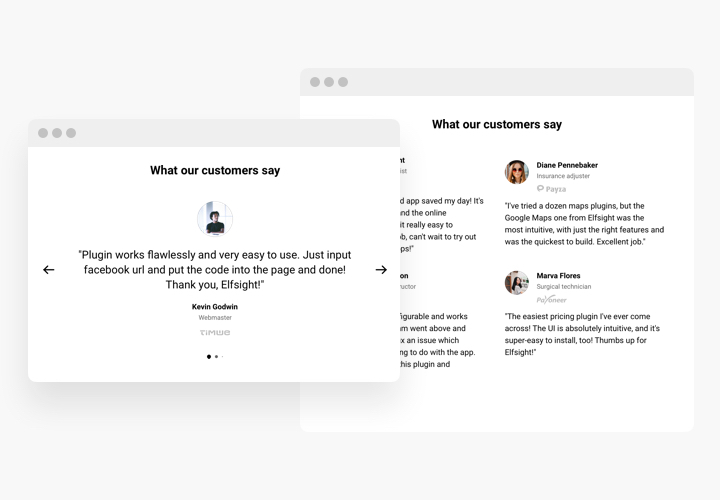 Do you have clients, whose point of view will be really convincing for other users? Create detailed testimonials with details about the author double sales. A purchaser published a positive review about your service or product? Make the best of it and reveal your appreciation, demonstrating it on the web-page. A link from feedback to Twitter, Instagram or website of the author is a very convincing sign for clients, which will add credibility and prove your business is true. The main traits, which divert our Testimonials Slider into an essential widget for any Webnode site. Responsive and suitable for any design. Elfsight plugin is uncomplicated in terms of setup, and doesn’t require any experience in programming. Fulfilling of the instructions will only require a couple of minutes. 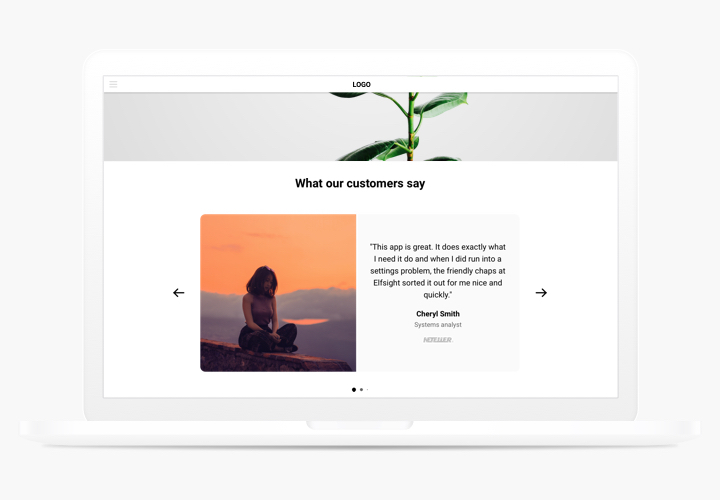 Generate your custom-made Testimonials Slider. With the help of our free demo, create a plugin with needed template and settings. Get the code for plugin displaying. 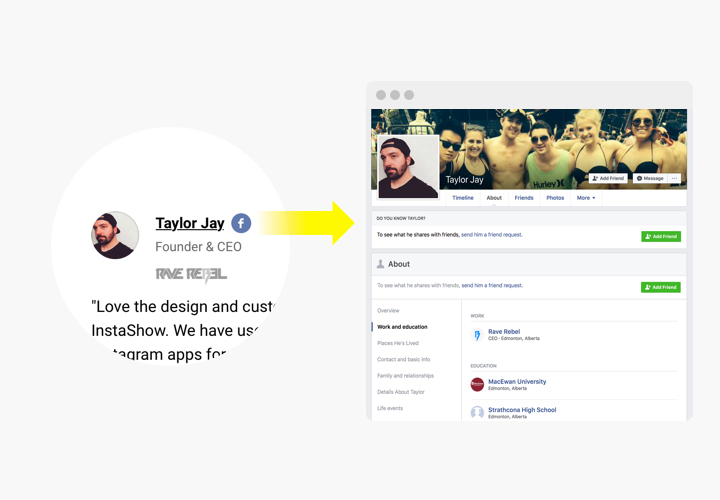 After widget tuning, obtain the code for Testimonials plugin from the appeared window on Elfsight Apps. Show the plugin on Webnode website. 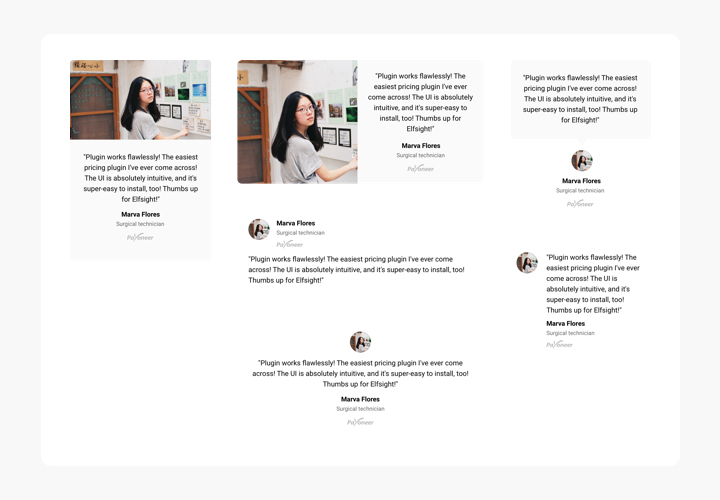 Place the plugin to the needed place of the page and save the results. Go to your Webnode site, to see your plugin. Encounter any problems while using or adjusting the widget? Study the detailed guide on setup of Testimonials Slider to Webnode or leave an enquiry Support Center.